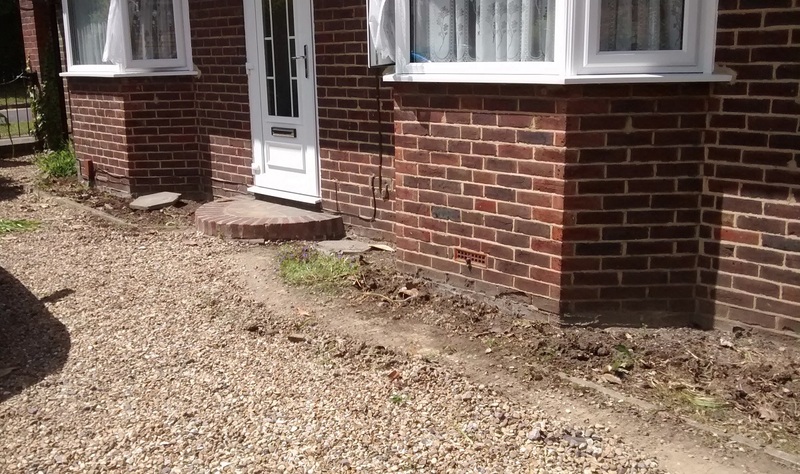 An existing client in Larkfield wanted a solution to untidy front borders. They wanted to use pots rather than plant directly into the ground but wanted the pots to be hidden. 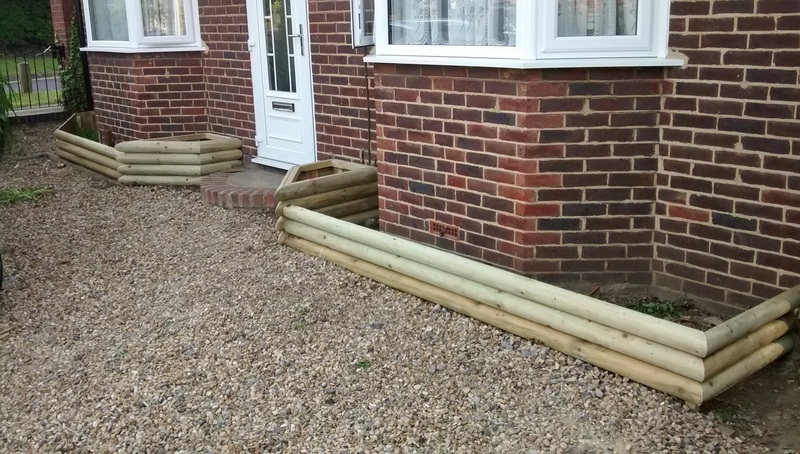 The client showed us some Google images of ready-made low fencing made from half-round rails fixed to stakes. They also wanted two planters either side of the front step into which they could place some pots. 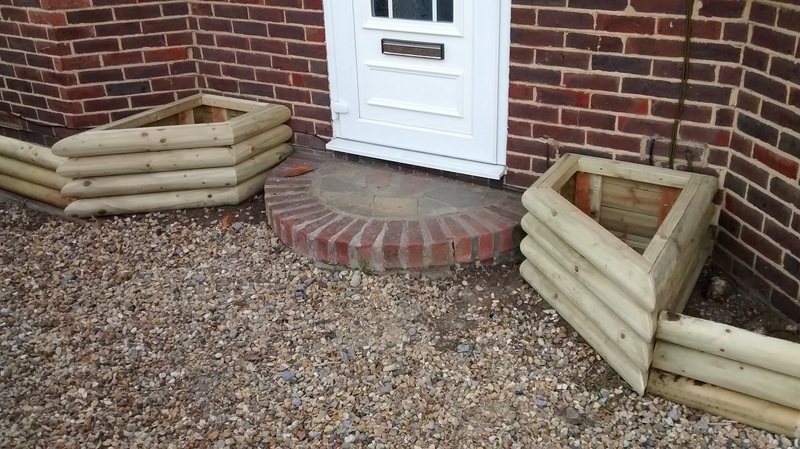 We made the bespoke planters to fit the space using 100mm half- round treated timbers from a supplier in Maidstone. 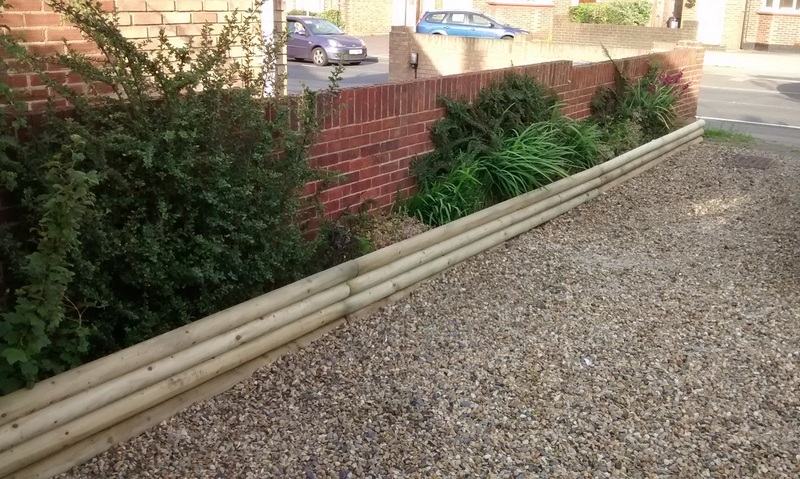 We then fixed supporting stakes into the ground and fitted the half-round rails to make a low fence of about 300mm height. 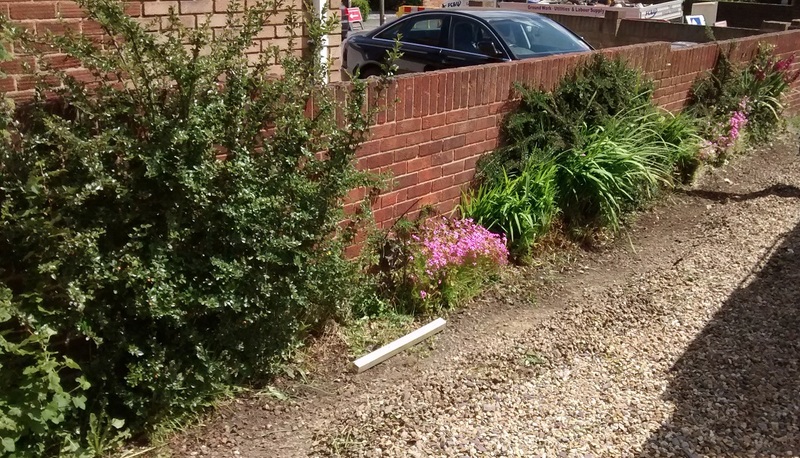 The shallow border along the drive was also fenced. The earth behind the fence will be covered with membrane and shingle and then pots planted up and placed to create the borders and grow over to soften the effect. An alternative solution to the low maintenance gardening problem.